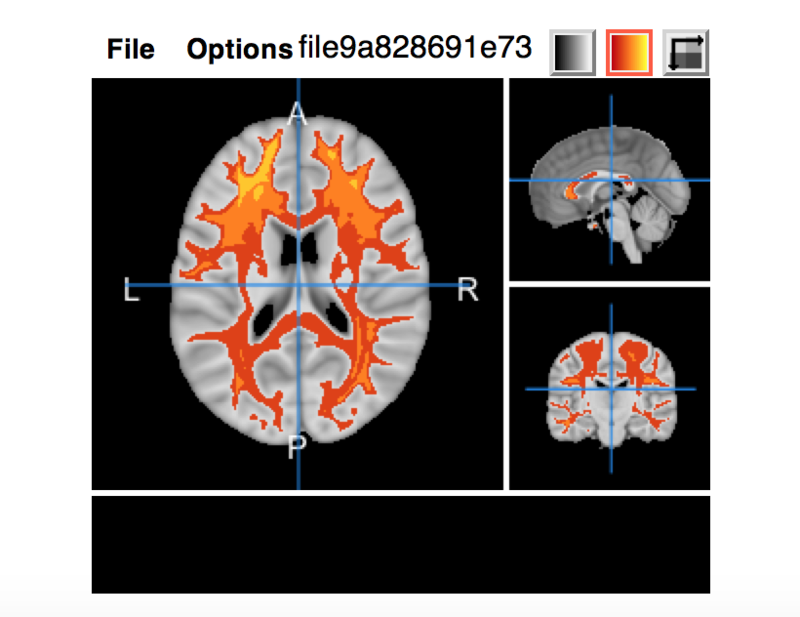 In a previous post, I described how you can interactively explore a 3D nifti object in R. I used the manipulate package, but the overall results were sluggish and not really usable. That's all fine and good, but I like my things in R. I understand many can easily write bash scripts that perform the same operations and use the HTML builder provided by papaya. My answer: the papayar package. To install papayar, you can simply install from GitHub using the devtools package. The first 3 lines make some random arrays, from a normal and binomial distribution and puts them into a nifti object. The list of these nifti objects is passed in. The first image is displayed in grayscale and the second image is overlaid using red-hot colors and the opacity of this image can be changed. The object index.file will be a character filename where the HTML file is stored. The data and this HTML file is written to outdir (which, again, is a temporary directory by default). The main reason to use this is that you can click different areas for the crosshairs and move to a different point in axial, coronal, and sagittal space. Thus, this is truly interactive. Here we can show there are limited (but useful) controls for the overlay. You can change the mapping of the values in the image and the overlay and the opacity of the overlay. Hopefully you can see how this can be useful for exploring data and results. Some of my colleagues are more partial to using ITK-SNAP for viewing images interactively. I have bundled the executables for ITK-SNAP into the R package itksnapr. The main function is itksnap, which you can specify images to different options to ITK-SNAP. To install itksnapr, you can simply install from GitHub using the devtools package. I haven't used ITK-SNAP much, but hear many good things about it. There are many better resources than this blog on how to use it and how to use it well. If interested in a good image viewer, I implore you to google around for some of these resources. 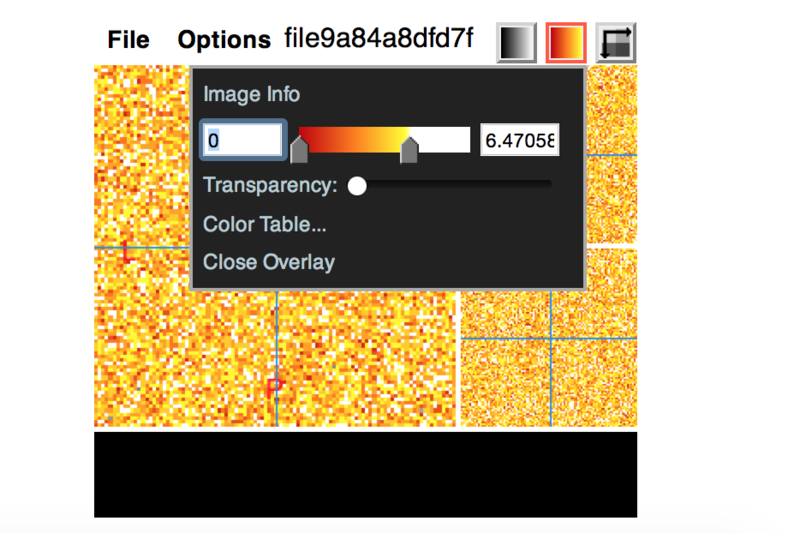 If anyone has intense interest of image viewers and wants added functionality, don't hesitate to file an inssue on GitHub. Although it was included in my fslr package by default and I never discussed it in detail, FSLView is included with the distribution of FSL and is a viewer I use heavily. The fslr function is fslview. One specific advantage of using FSLView is that it can pass through X11 forwarding, so you can remotely view image from a cluster, though it may be slow. 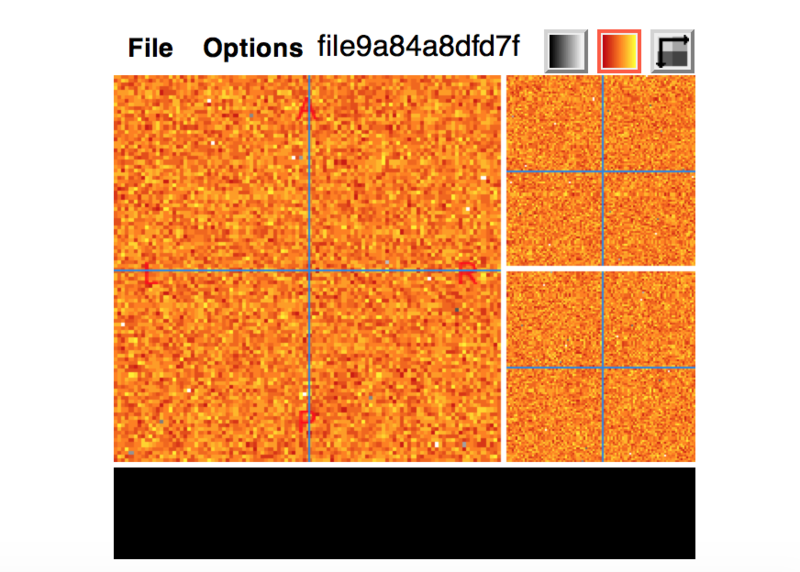 Although I use the orthographic,image.nifti and overlay functions from oro.nifti for many of my figures, for interactive exploring of results, these can be somewhat slow for getting a large-scale view, and not a specific slice view. 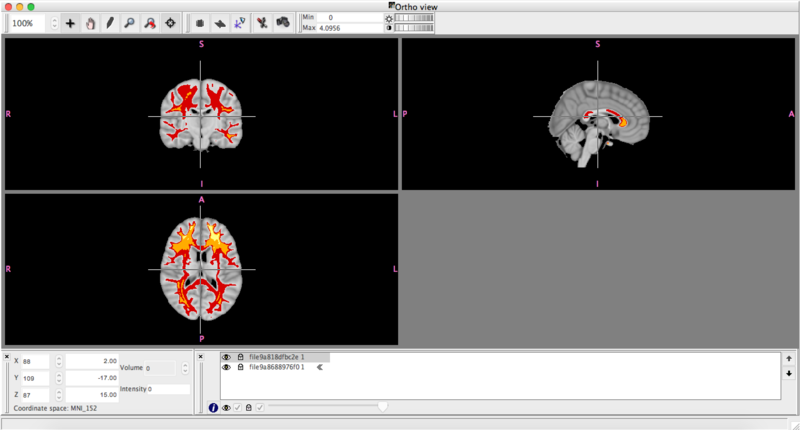 Therefore, a fully interactive neuroimaging plotter is necessary. Here are 3 options that can be accessed “within” R.